UK households are home to thousands of pounds' worth of broken gadgets, according to new research from technology retailer Laptops Direct. The survey of more than 1,000 UK adults shows that the average household is currently harboring £2,460 of broken technology and gadgets. Smartphones are the most common items in these technology graveyards with 78 percent holding onto them even though they’re broken. A damaged or malfunctioning laptop is in the home of 62 percent of those surveyed and 59 percent have broken iPads and tablets. There's also a lack of urgency when it comes to getting gadgets fixed. 37 percent will wait as long as six months to do so. Meanwhile 19 percent say they would rather replace their broken gadgets than have them repaired. 44 percent say the high cost of repairs is the reason for this, although a plucky 17 percent of UK adults will attempt to fix their broken gadgets with the help of online tutorials, while 14 percent will turn to a tech savvy friend in a bid to save money. "It's surprising to see the amount of broken or damaged technology and gadgets Britons continue to use or keep hold of," says Mark Kelly, marketing manager at Laptops Direct. 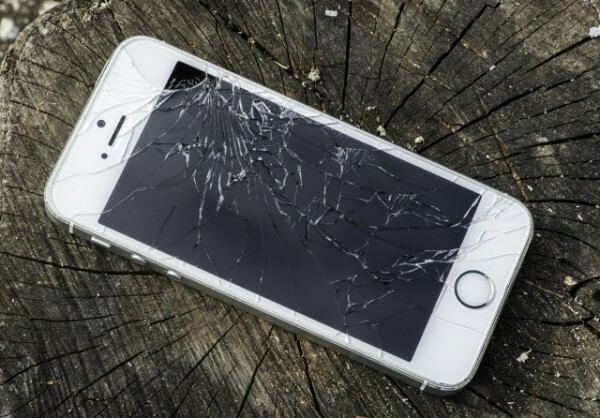 "We would advise consumers to repair damages as soon as possible, if something as small as a cracked screen is left too long this can result in further damage to the device which will increase repair costs at a later date." Men are more likely to hang onto broken tech, averaging £2,990 of non-functioning technology and gadgets, compared to women who own an average of £1,930's worth. "Even though an item of technology may no longer work or is damaged beyond repair, some parts or components may still be of value," adds Kelly. "There are number options when it comes to recycling or selling old technology, which can be refurbished or stripped for parts. We buy and sell second hand technology from our customers while also offering discounts on new purchases."